Oh, How I Love Jemima Puddle-duck! Beatrix Potter’s (1866-1943) words and illustrations grace the pages of my go-to baby shower gift. (Well, that and Winnie the Pooh!) Her stories have entertained generations of children, ballet patrons and television watchers. 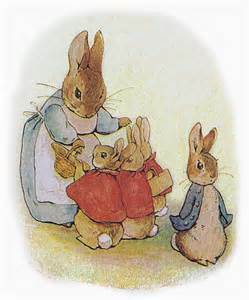 She first published The Tale of Peter Rabbit in 1901 and went on to publish over 23 books. They continue to sell all over the world and have been retold in ballet, film and TV animation. 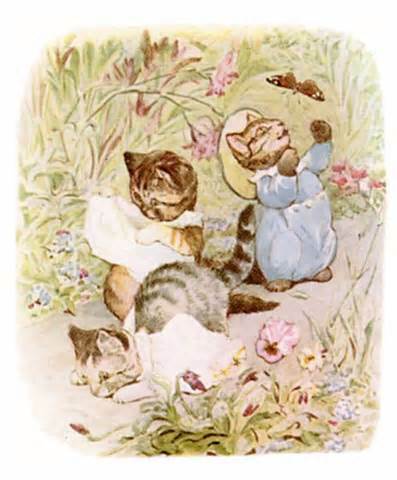 Ms. Potter worked as an illustrator prior to her writing career. She was initially drawn to scientific illustration and mycology. She also studied book illustration where her tastes leaned toward fantasy and fairy tales. 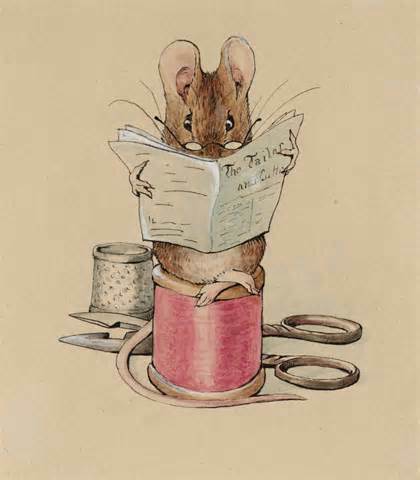 Most of her illustrations featured her own pets – mice, rabbits, kittens and guinea pigs. She then sold some drawings of her rabbit to another author to illustrate his book in the 1890s. The Tale of Peter Rabbit began as a story she told her eldest son Noel when she ran out of things to say in a letter home to him. She initially published it privately for her family and friends at her own expense. A family friend shopped it again to the publishing houses and found a firm that was willing to take it on. It was officially published in 1902 and was met with immediate success. Ms. Potter was also a sheep farmer and conservationist. Over the years she purchased sixteen farms in an effort to conserve the land. She continued to write stories and draw throughout her life. What a lovely post. 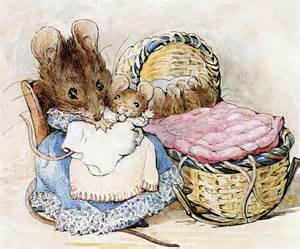 Did you see the film of Beatrix Potter’s life? It was wonderful. The actual Tailor of Gloucester’s shop still exists in Gloucester near where I live. It is a charming place. I didn’t know Beatrix had a child. We live and learn. I have grandchildren now and can’t wait to read her books to them. It is very sweet and moving, I think it is called Miss Potter. I hope you find it on netflix or something. Get the tissues ready! I think you will find that the first story was written for a former governess’ child. Hope you don’t mind me sharing this info with you but I also am a bit obsessed with BP but it’s the Tailor of Gloucester for me!